We are in the height of summer and, naturally, showing the most skin we will all year long. Taking care of your face should be your number one priority, but making sure your skin is soft and smooth all over is equally as crucial. Even if you self-tan, you still need to make sure your skin looks firm, toned and hydrated! Here are ten easy tips for gorgeous and firm skin all over. Rub a natural bristle brush in an outward circular motion all over your body on a daily basis. Not only will it stimulate your circulation and help reduce the appearance of cellulite, but you will exfoliate the dead skin cells revealing soft skin underneath. After dry brushing your body, follow up in the shower with an at-home body scrub. Then combine coconut oil with sugar to trick your skin into thinking it just got back from a luxury spa trip. It will look great and smell delicious. Body washes offer so much these days! Many have antioxidants and skin firming ingredients in them. Choose one that suits your needs — whether you need extra hydration, skin clarifying or a boost of exfoliation. Some even include alpha hydroxy acids or glycolic acids to aid exfoliation. Yes, this is an extra step, but adding a layer of oil will form a light layer on your skin to lock in moisture. 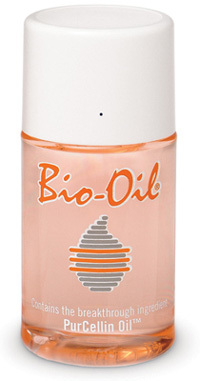 To speed up the process, put your favorite oil (such as monoi oil or a product like BioOil) in a spray bottle to keep in your shower. After you towel dry, spray it all over. Try a three day detox to help decrease bloating and increase skin’s radiance. There are many juice detox programs on the market or you can even cut out coffee, alcohol, salt and sugar for three days to debloat. You’ll feel lighter and your stomach will feel flatter!